Although there were several reasons for my overdoing it all the time, one stands out: I was afraid of being lazy. Just one problem: even God rested. Even God commands that we rest. When we take on too much (even if we mean well) we end doing a ton, but not doing any of it very well. 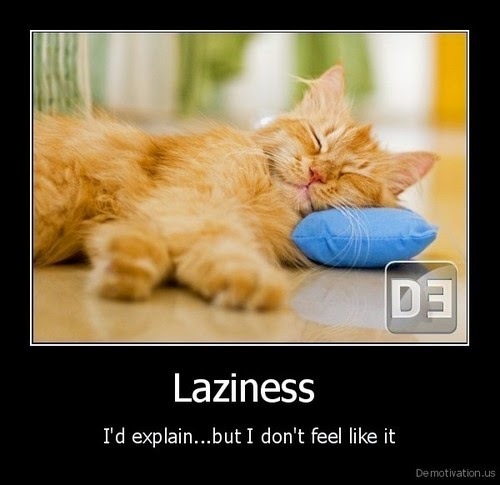 So what’s the difference between rest and laziness? That’s a command concerning the Sabbath day. The principle also applies more broadly. God’s instruction about labor –even labor for Him during a busy and fruitful season- includes the need for time to rest. Productivity and rest are proven to go hand-in-hand instead of to work against each other. Taking the time to rest appropriately allows you to be more productive and effective for His work. As Charles Spurgeon has said “God gave us sleep to remind us we are not him.” When you give up on sleep, relaxation, and other times of rest, it may seem like you’re being selfless. But, you’re not. You’re trying to take on more than the Lord has given you (because He does not tempt us nor tell us to harm ourselves!) To try to take over for God and do too much, we get prideful, controlling, and focused on accomplishments in this world. Believe it or not, in that process, we also became lazy. We become lazy to trust, lazy about time spent with God or with those we love, and lazy about keeping ourselves diligently focused on His will. Choose to be God’s focused: “for anyone who enters God's rest also rests from their works, just as God did from his” (Hebrews 4:10.) Get it? Godly work involves Godly rest. Their path is clear: keep God’s commands to rest, to be still, to take the time to do things well. Do what is asked of you responsibly instead of trying to prove yourself by running extra races that ultimately lead to things other than eternal life pleasing Christ. Rest was designed by God, it is a necessity. Laziness is a corruption of God’s intentions for rest. It’s selfish, it’s based on folly and feelings, and laziness does nothing to contribute to your work for the Lord. Rest does. That’s not a gift to forsake. Love this, Bethany. Will share with my hubby tonight. Important distinction, Bethany! Great insights into the Word! Thank you for linking up, Bethany. Blessings to you! Dear Bethany, rest is very much needed for productivity. I am glad I came over to read this today. Sounds like perfect timing for me.